In October 2015, LG Chem announced that it has sold its OLED lighting business to LG Display, for $135 million USD. LG decided to consolidate all OLED production under LG Display - which will hopefully enable LG to advance OLED lighting more quickly - and at a lower cost. Today it was announced that the deal has completed, and the OLED lighting business is now part of LG Display. According to reports from Korea, going forward LGD will focus on automotive lighting - but talking to LG they clarify that they will focus on both general lighting and automotive lighting. 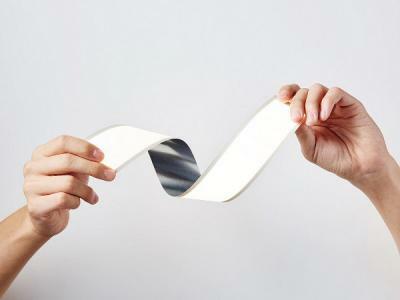 LG started developing OLED lighting panels in 2013, and the company currently produces several OLED lighting panels - including the world's first truly-bendable panels (a few days ago they announced 406x60 mm plastic-based bendable panels), and is one of the clear leaders in the OLED lighting industry. LG Chem has been discussing a Gen-5 OLED lighting production line since 2012, and according to some reports the company is planning to construct a new $185 million production line for OLED lighting by 2017. The OLED Association speculated that following this OLED business merger LG Display may opt to convert its existing Gen-4.5 OLED display fab to OLED lighting production.